The announcement came with a joint press release, proving that the patent wars between Apple and HTC are now over. Although the agreement is confidential and we do not know any details of it, we do know that it came as a surprise, since there were no reports on the two companies discussing a settlement. Delaware court might have suggested they consider reaching an agreement back in May, but they did not seem reluctant back then for such a move. 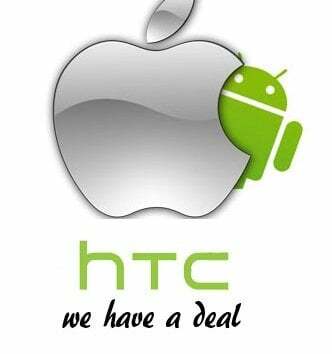 On the contrary, HTC was claiming that they are not planning any settlement with Apple. As it seems, things have changed in the last months and we are now discussing their settlement. "HTC is pleased to have resolved its dispute with Apple, so HTC can focus on innovation instead of litigation." "We are glad to have reached a settlement with HTC. We will continue to stay laser focused on product innovation." There were many battles between them and it must be a relief for Apple to get a patent opponent out of their way. 2012 has been the year of the patent wars and although the battle between Apple and HTC was not the biggest one, it is still important that they have reached on an agreement. Who knows, maybe we will see Apple reaching an agreement with Samsung in the future. Or maybe not!